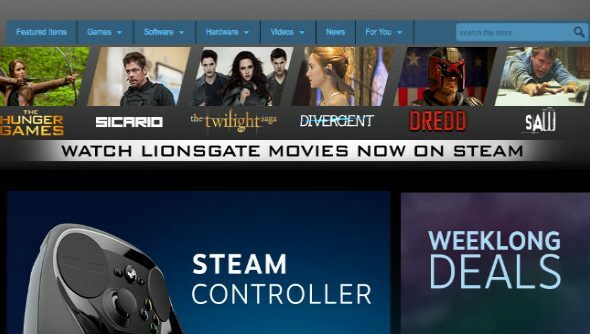 Lionsgate and Valve have partnered up to offer a range of movies across Steam. Steam has previously allowed the streaming of indie flicks, but this marks the first major studio to add their licenses to Valve’s digital distribution platform. How good this news is depends on where you live at the moment. Now you’ll be able to watch a film straight after playing one of the titles in our list of best free Steam games. In the US, the partnership sees the launch of over 100 Lionsgate feature films, including movies from the Hunger Games, Twilight, Saw and Divergent franchises. More titles will be added as the partnership continues to expand worldwide, but if you’re living in the UK at the moment you might be a bit disappointed by the current selection. 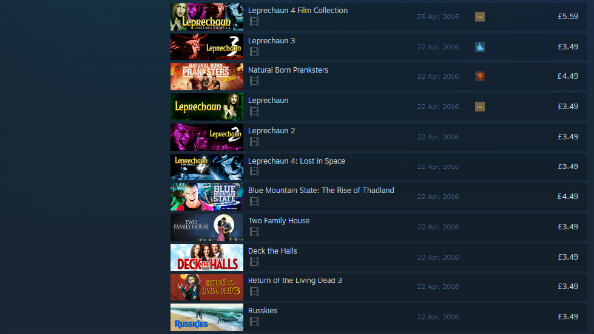 Who’s having a Leprechaun binge tonight, then? Streaming movies is be available across all Steam-supported operating systems. To see what your region has to offer head to the Lionsgate developer page.